Two weeks ago, Houston hospitality mogul, Tilman Fertitta, announced that his luxury car dealership would accept bitcoin and bitcoin cash. Well it seems like the market was ready for the move, as he has already found his first bitcoin customer. I have always had tremendous respect for Tilman and all that he has accomplished, and I wanted to demonstrate my support towards his pioneering efforts. Blockchain and crypto are undoubtedly the technologies of the future, and I applaud Tilman for making massive strives in Bitcoin consumerism. The list price for a Continental GT spans from around $220,000 to $320,000, but Bridge has been a long time investor in bitcoin, so says his dollar cost is much lower. He first bought into bitcoin $6695.93 +2.5% when it was $648, and tries to take advantage of any price dips to invest more. If he’d made a big enough initial investment, his cash price could have been around $25,000 at current bitcoin prices. Not bad for a brand new Bentley, although pretty unlikely to be the case. Bridge is such an advocate for cryptocurrency that he has implemented a blockchain-based loyalty reward system in his restaurants. This has a companion app, enabling users to order dishes through their mobile phones. With each purchase, a customer earns proprietary Roobee Coin, which can be redeemed at participating outlets. Bridge’s ultimate goal is to list Roobee Coin on crypto exchanges. 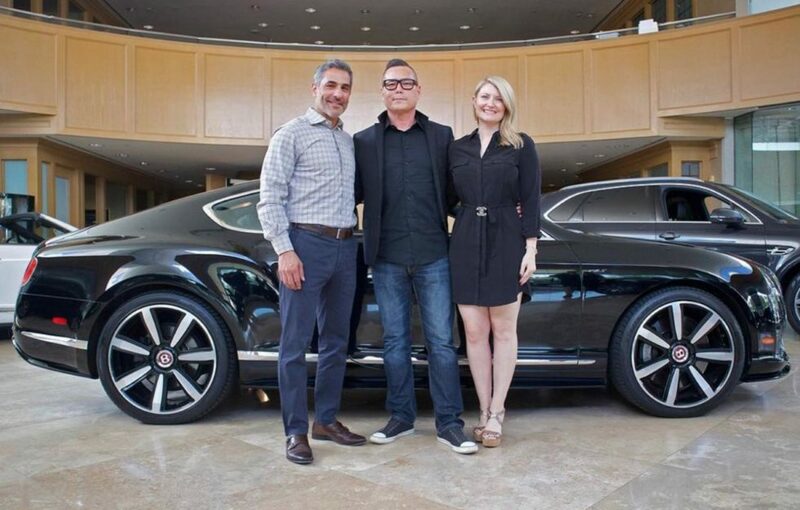 The cynical among us may suggest that outing himself as the first bitcoin Bentley buyer was just for self-promotion. After all, most Bentley customers choose not to identify themselves. Hey, maybe the whole purchase was just a marketing ploy to get some press. There are currently no comments on Car bought with Bitcoin in Texas. Perhaps you would like to add one of your own?